Forrest Machine Products Co. Ltd. Forrest Machine Products Co. Ltd. Welcome to Forrest Machine Products! 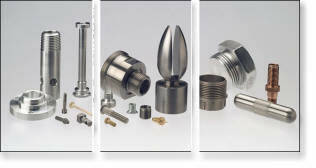 We are a provider of low volume precision machined components and assemblies and offer exemplary customer service and inventory management solutions to our customers. Forrest Machine Products Co. Ltd.'s goal is to provide our customers with quality products on time every time. News: Forrest Machine purchases 3 new Leadwell V20iT 5 Axis Mills. 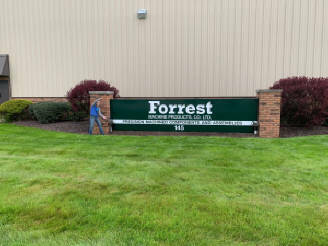 Forrest Machine completed a building expansion and added 8 new CNC machining centers in 2018. This significant expansion has allowed us to better support our customers. We at Forrest Machine Products are dedicated to providing the service, quality and value that you need to remain competitive and become more profitable.